Congratulations to all the participants and the semi finalists. The following 8 teams will be competing at the semi-finals and four winning teams will make it to the Grand Finale at the Republic Day Mela 2019. The semi-finals dinner gala is on January 12, 2019 at Priya Restaurant, Lowell, MA. 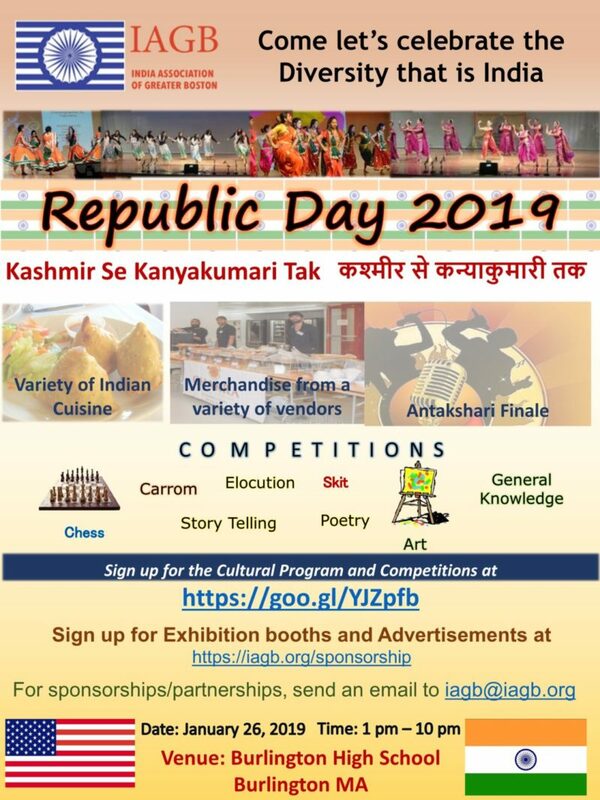 Please register at https://iagb.org/antakshari-semifinal/ and, come and cheer your favourite teams. On semi-finals day, the registration starts at 6pm and Antakshari rounds will start from 6.30pm. Buffet dinner will be served through the evening.